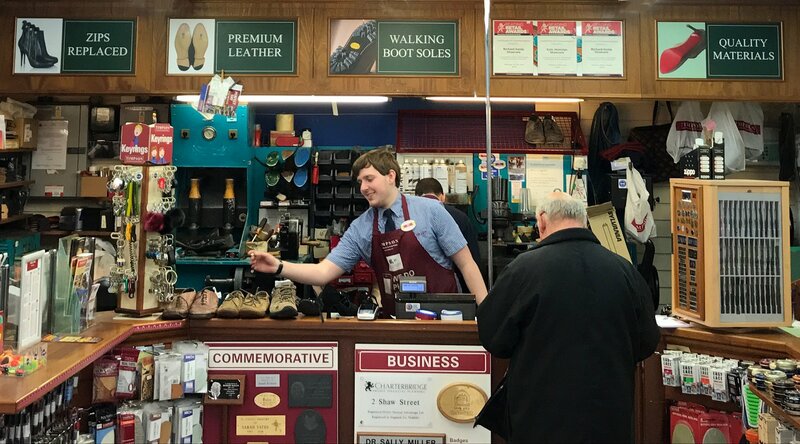 We specialize in all types of shoe and boot repairs – both mens and ladies. We can carry out almost any job you can think of from the smallest piece of stitching right up to a full long sole and re-welt. Any job – any time! Most repairs are carried out on-site in our national network of shops. Some more complicated and specialist repairs are sent to our central workshop where they are expertly repaired by specialist craftsmen. Engraving, key cutting, car keys (without buttons), some phone and tablet repairs, ID and passport photos and watch repairs.